In addition, you will receive a software download for The Moody Library, an ideal Bible software program for Pastors, Teachers, Professors, Students, Bible Study Leaders, and anyone thirsting to learn and understand more fully. Valued at over $400, this study and reference software was developed by Moody Publishers and WORDsearch as an electronic companion to The Ryrie Study Bibles. 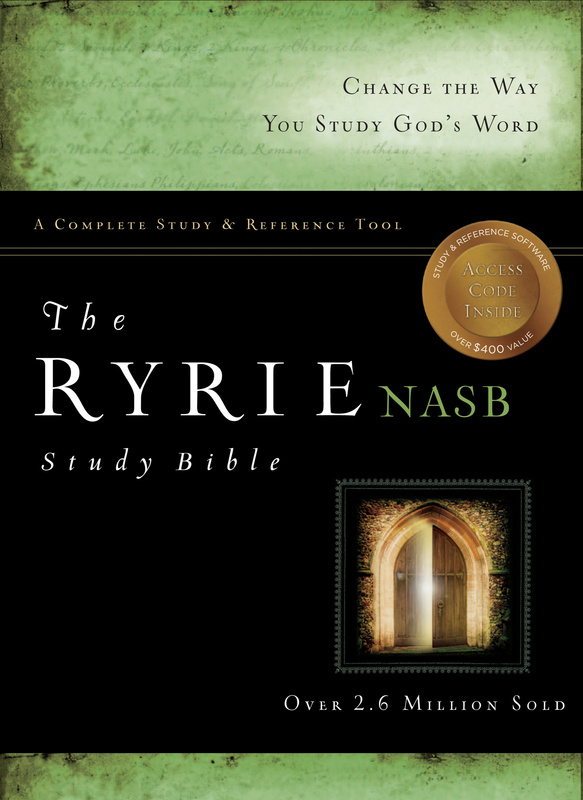 NASB Ryrie Study Bible: Black, Genuine Leather by Charles C. Ryrie was published by Moody in April 2012 and is our 29736th best seller. The ISBN for NASB Ryrie Study Bible: Black, Genuine Leather is 9780802484598. Be the first to review NASB Ryrie Study Bible: Black, Genuine Leather! Got a question? No problem! Just click here to ask us about NASB Ryrie Study Bible: Black, Genuine Leather. A:I've checked this with the publisher, and they have confirmed that the sizing is as follows 9.50 X 7.00 X 1.50 (inches). Thank you for using Q&A Forum.